There are times in our lives when you want to jump up with joy and celebrate! Flowers are a great way to adorn a room or table to give the occasion an extra special spark of joy. 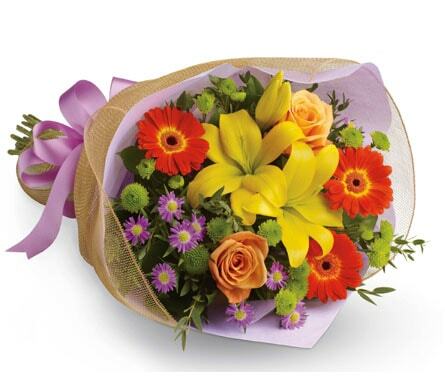 Flowers are also a great way to make someone feel special on a celebratory day or upcoming event. The freshness and fragrance of flowers give us positive thoughts and immediately put us in a great mood. Every time you look at a gorgeous bouquet it makes you want to celebrate. Traditionally celebration flowers are vibrant and bright, but depending on the occasion you might want to celebrate with a serene, aromatic bouquet or posy of pastel colours. 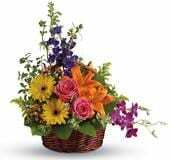 If you are unsure of which bouquet or which flowers to use for your celebration, why not go with our Florist Choice options. With florist choice, we tell the florist the occasion it�s for, you select colour choice and bouquet type, and the talented florist will use their creative passion to design the perfect bouquet.